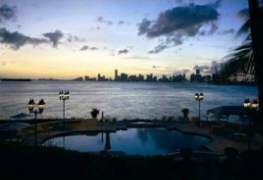 Fisher Island is a world-class private island residential community and exclusive club where distinguished members enjoy the lovely Vanderbilt Mansion's main Club, its charming oceanside private Beach Club and intimate restaurants, its superb Mediterranean-inspired Tennis Center, its lovely circa 1925 cottages and guest suites, its elaborate deep-water marinas, stunning championship golf course, spectacular Spa Internazionale and much more. Located directly across the inlet from the world famous South Beach area of Miami Beach and home to approximately 226 households, for a total of approximately 467 residents. 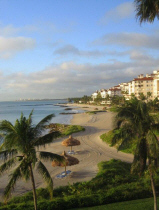 As of the 2010 census Fisher Island had the highest per capita income of any place in the United States. 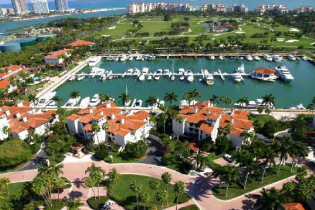 Current and past famous residents of Fisher Island include; Andre Agassi, Boris Becker, Julia Roberts, Oprah Winfrey and many others. 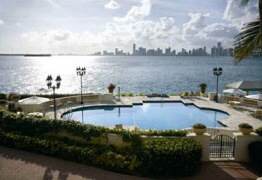 Fisher Island - A 216 acre private island Miami / Miami Beach residential community of unrivaled luxury and splendor. 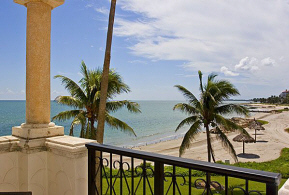 View a map of Fisher Island with real time listings of all homes and condominium residences for sale or rent at each of the 10 oceanfront and waterfront Fisher Island communities. The classic, Mediterranean-style, private residential community of Fisher Island in Miami is nestled in a tropical-lush island club resort. Here, residents discover the privacy and security of an island where cultures from 40 nations blend against the backdrop of a cobalt-blue sky, Biscayne Bay and the Atlantic Ocean. Placing its residents and guests within all the charms of South Florida, this special destination is only a few minutes away from Miami and Miami Beaches' finest theaters, museums, shopping, dining and nightlife. From it's luxurious spa and health club, pristine beaches and swimming pools, to its tennis, golf, restaurants and lounges, this private community is easy to reach by boat, seaplane, helicopter or car ferry (the car ferry runs 24 hours). 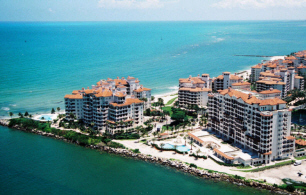 Please contact me directly for more information about any of these condominium residences or single family homes, on the beautiful and luxurious Fisher Island. 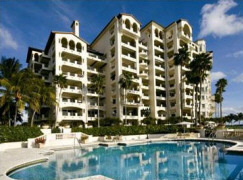 View all condos, townhomes and luxury homes for sale on Fisher Island. 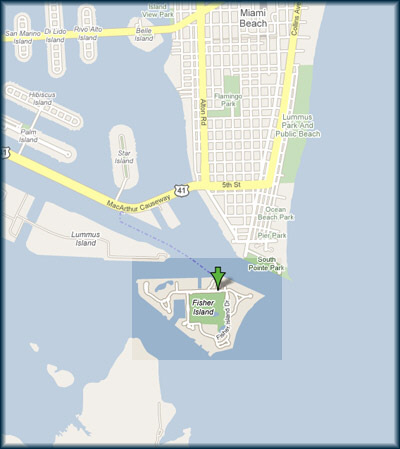 To view the available homes at a specific development on Fisher Island - Click here to view our development map of Fisher Island. The Fisher Island luxury developments include: Bayside, Bayview, Harborview, Marina Village, Oceanside, Palazzo del Mare, Seaside Villas, Seaside Village, Valencia Estates and Villa del Mare. Fifteen minutes east of the Miami International airport, this pristine island is located just minutes from Miami Beach & South Beach. 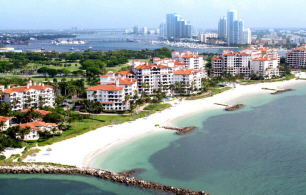 Fisher Island is accessible only by boat, car ferry, helicopter or seaplane. 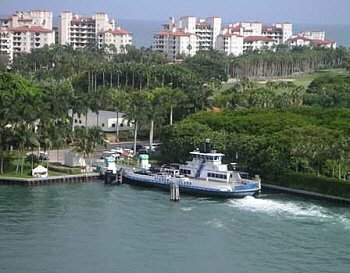 Fisher Island’s car ferry (shown below and at right) runs 24 hours a day. 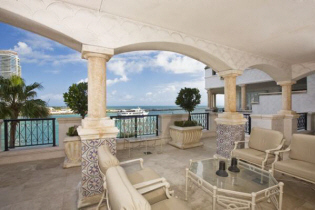 "For All of Your Fisher Island Home and Greater Miami Beach Area Real Estate Needs"
Fisher Island - Oceanfront, Beachfront & Bayfront Luxury Real Estate Rusty Stein & Co.